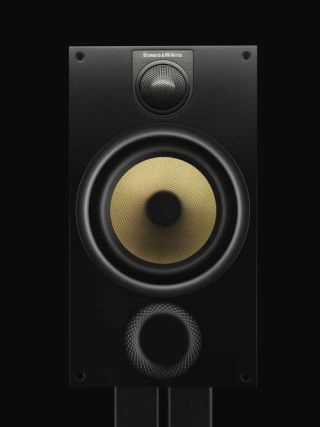 Bowers & Wilkins launches new 600 Series of hi-fi and home cinema speakers | What Hi-Fi? Bowers & Wilkins has unveiled details of its all-new 600 Series, which it says represents a "dramatic improvement" on its existing range of acclaimed hi-fi and home cinema speakers. The addition of six new speakers signals a complete overhaul of the entire range, with every element of its design upgraded to make high-end sound quality "more accessible and affordable than ever", B&W claims. B&W's tried and tested engineering solutions from its other ranges have been used in the new 600 Series – such as the Double Dome Tweeters from the CM10 and its iconic Kevlar cones, among others. Meanwhile, the manufacturer has incorporated additional elements such as its new Dual Layer aluminium bass drivers and tweeter decoupling technology to further improve the performance of the 600 Series. The largest speaker in the new 600 Series is the 683 floorstander (£1150 a pair). Smaller 5in drivers are included in the 684 floorstander (£800 a pair), which is a two-way vented-box system compared with the three-way vented-box system of the bigger model. The 684 stands 6.5cm shorter than the 683 (cabinet-only). Elsewhere, the 685 (£500 a pair) and 686 (£350 a pair) speakers can be housed on a stand or a bookshelf and have been designed to be a "perfect fit" for most rooms. The 685 and 686 stand 34.5cm and 31.5cm tall respectively. If you're interested in building a home cinema system using the new 600 Series, two new centre speakers – the HTM61 (£550) and HTM62 (£350) – and three subwoofers have also been launched. The ASW610XP (£700), ASW610 (£500) and ASW608 (£350) subwoofers have been carried over from the previous 600 Series with revamped finishes. Dealers will be selling two specific home cinema packages based on the new 600 Series: the B&W 684 Theatre (£1999), comprising 684 front speakers, an HTM62 centre speaker, 686 rears and an ASW610 subwoofer; and the 683 Theatre package (£2749, below), with 683 front speakers, an HTM61 centre channel, 686 rear speakers and an ASW610XP subwoofer. Other combinations will be available. B&W says: "The new 600 Series comfortably surpasses the outgoing range’s already excellent reputation for outstanding value and exemplary audio performance." The new 600 Series will be available from March, in black ash and white, and we already have a demo pair of the new B&W 685s in our listening rooms. They'll be the lead First Test in our April issue of the magazine, on sale from March 12th. DTS:X: What is it? How can you get it?